Global Infrastructure Partners (GIP) has beaten off competition from a consortium led by another infrastructure investor, JP Morgan Asset Management. Edinburgh Airport's sale price is way over aviation analysts' expectations, which had been in the £500-700m range. That's a signal of the value of the asset, and of its growth potential. But it's also a challenge to the new owners, GIP, to deliver competitive returns on such a top end price, and it will probably mean there's less available for improvements to the asset. That will require Edinburgh's management to go aggressively after Glasgow Airport's market in west central Scotland, to attract new airlines and more routes. It will be interesting to see what that means for links to Gatwick, which GIP bought in December 2009. Rival bidders argued that the Gatwick link will mean Edinburgh could lack autonomy, as a little sibling to the London hub. If its experience at Gatwick is any guide, GIP will seek to appeal to passengers with improved check-in, security and baggage handling times. But this is unlikely to be a long-term investment. GIP generally aims to realise value from such asset investments, and exit within about seven years. As well as owning Gatwick and 75% of London City airport, GIP also has major stakes in Biffa Waste Services, the Port of Brisbane, Argentinian ports and Great Yarmouth port, along with the US shale gas, solar and geothermal power industries. 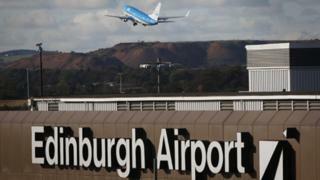 Adebayo Ogunlesi, chairman and managing partner of GIP, said: "Edinburgh Airport is a high quality infrastructure asset. Its acquisition is a landmark deal for GIP and represents the first investment by GIP II. Colin Matthews, chief executive of BAA, said: "Edinburgh Airport and its team have been part of BAA for a long time and we are proud of its achievements. "We wish the new owners every success and are confident the airport will continue to flourish. "BAA will continue to focus on improving passengers' journeys at Heathrow and its other airports." The Scottish Passenger Agents' Association welcomed the news and said that GIP had improved the experience for passengers at Gatwick since it took over the airport three years ago and expected the same at Edinburgh. Simon Calder, travel editor at The Independent, said: "What they have done is remarkable things. "They've greatly improved the passenger experience so that people are tending to choose the airport ahead of others and secondly they are attracting airlines." He added: "It's now going to get very, very interesting and the beneficiaries will be the Scottish travelling public." Meanwhile a spokesman for the unsuccessful bidders, JP Morgan Asset Management, said: "While we are disappointed at the outcome. We wish the new owners and all concerned with Edinburgh Airport well."